My colleague with a newborn celebrated the little one's first month "birthday," which is something I never did with my children. But, since this is a brainchild, I see no reason not to be overly doting and celebrate the first month of TheHackerCIO's blog! As of 3:01pm, it's been a month! Much has been accomplished already. A reasonably varied sampling of content is now available: of interest to CIO types, entrepreneurs, startups, and hackers. The overall flavor of TheHackerCIO is now well established. It's time to think about promoting TheHackerCIO. The ever popular, and extraordinarily brief, Who is TheHackerCIO? My favorite: Why the CIO Must Also Be a Hacker, which further explains #3 above. The first week of this blog's life virtually no-one knew about it. It was a question of providing writing samples. From the second week on, I notified those with whom I am "LinkedIn," and a few selected technical Meetup and Forums which I attend. It is gratifying that I have received over 2114 Pageviews -- that's an average of over 70 pageviews/day. Interestingly, these come from Malta, France, the UK, China, Portugal, Canada, and Australia. I didn't expect that. 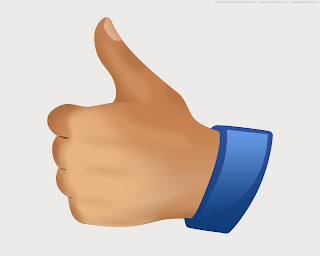 Early reviewers of my blog are giving me a "thumbs up." CIO-types, Hackers, and Entrepreneurs are all very positive. If, as the example I excerpted below, I have a "great blog," am worthy of promotion, answer the questions people want to ask, and have good reviews of books -- then I have accomplished exactly what I set out to do, and then some. Which doesn't surprise TheHackerCIO, at all. Anyway, I thought the part about avoiding the 404 error with the 1x1 blank pixel was cool. Is this a 404 that actually appears on their screen? I have never seen that. Good review of the performance book (which I am skipping). Many thanks to my regular readers, and I intend to continue producing interesting postings for your reading pleasure. Because your reading pleasure is my writing pleasure!